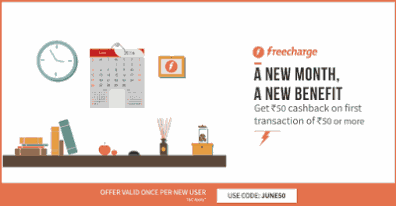 Freecharge is Again Back With New Cashback offer where you get 50 Rs Cashback on Recharge & Bill payments Of 50 Rs Or More. For New Users. Follow The Steps to Avail this offer. - >Virtual Cards &Cards issued outside India will not be eligible for cashback / reward.